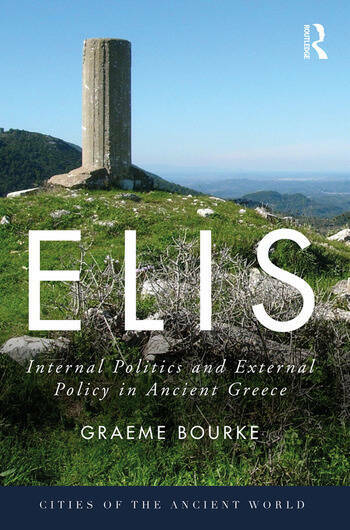 Elis examines the city of Elis from its earliest history, through the Archaic period and the Classical period where it reached its zenith, to its decline in the Hellenistic, Roman and later periods. Through examining this prominent city-state, its role in contemporary politics and the place of Olympia in its territory, Graeme Bourke allows the reader to explore broader issues, such as the relationship between the Spartans and their various allies, often collectively referred to as ‘the Peloponnesian League’, the connection between political structures and Panhellenic sanctuaries, and the network of relationships between various ancient sanctuaries throughout the Greek-speaking world. The volume, which makes available in English for the first time much of the debate about the city, provides a valuable resource for students and academics studying the city of Elis, the Peloponnese and the relationships within it, and pre-Hellenistic Greece as a whole. Graeme Bourke is a Senior Lecturer at the University of New England, Australia.